(Zea Mays L.) Crop Performance. Abstract: Application of organic mulching is soil management practice that seeks to improve soil moisture conservation, increase soil fertility and improve crop production. 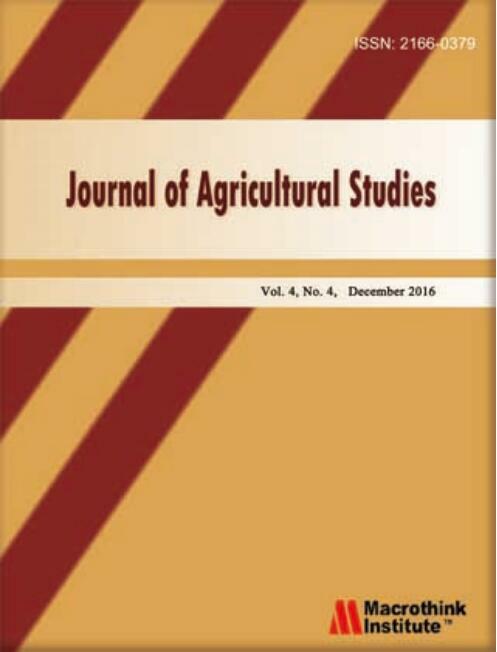 The study was carried out to quantify the effect of different organic mulches on some soil properties at three crop stages and maize production under coastal savanna condition. Four treatments of mulch; maize stover (MS), dry grass straw (GS), palm frond (PF) mulches at 3 Mg ha-1 each and no-mulch (NM) (control) with three replications were laid out in a complete randomized block design. After two consecutive cropping seasons, different organic mulches had no significant effect on the examined soil properties at the seed emergence stage. However, at both tasseling and harvest stages, the differences of bulk density, total porosity, organic carbon content and macro-nutrients (NPK) among the treatments were significant and were in the order of GS > MS > PF > NM. The germination rate was in the order of NM (91.0%) > MS (89.9%) > GS (87.9%) > PF (86.8%). The effect of mulches on both the plant height and the LAI was in the order of GS > MS > PF > NM. The increase in grain yield over the control were GS= 23 %, MS= 16 % and PF =15 % while that of the WUE relative to the control were 155 %, 122 % and 58 % for GS, MS and PF respectively. Dry grass mulch could be used to improve soil properties and achieve higher maize production in the study area. Abstract: Microgreens are considered as an emerging superfood, which are young seedlings of vegetables and herbs, produced in seven to fourteen days. Known as “vegetable confetti”, they gained popularity in upscale restaurants. But microgreens’ nutritional value is only starting to be identified through scientific research. Microgreens are nutrient-dense and make a healthy addition to salads, sandwiches, dishes, and other portable food solutions. According to some recent studies, vitamin and mineral levels can exceed full grown vegetables by more than forty times, requiring less water and energy throughout the process. This case study is about a company called Greenbelt Microgreens, based in Hamilton, Canada. Greenbelt Microgreens grows, harvests and distributes certified organic microgreens. The aim of the case study is to better understand the model and how it could be expanded beyond the region by capitalizing on a growing trend of local, organically grown food products. The case presents how microgreens are positioned in the marketplace. It also describes the company itself, its challenges and a discussion on specific, strategic elements to consider.